A volatile teen is torn between his friends and a middle class squatter. In the summer of 2011, London, and later other major UK cities, erupted in violence as prolonged rioting shattered the fabric of the British capital. The rioting was initially in response to a police shooting, but within days any political message had been lost as Londoners from varying backgrounds united in destruction. For some it was a form of revenge against a system they felt was stacked against them, while for others it was simply a chance to nab some expensive trainers and a plasma TV. 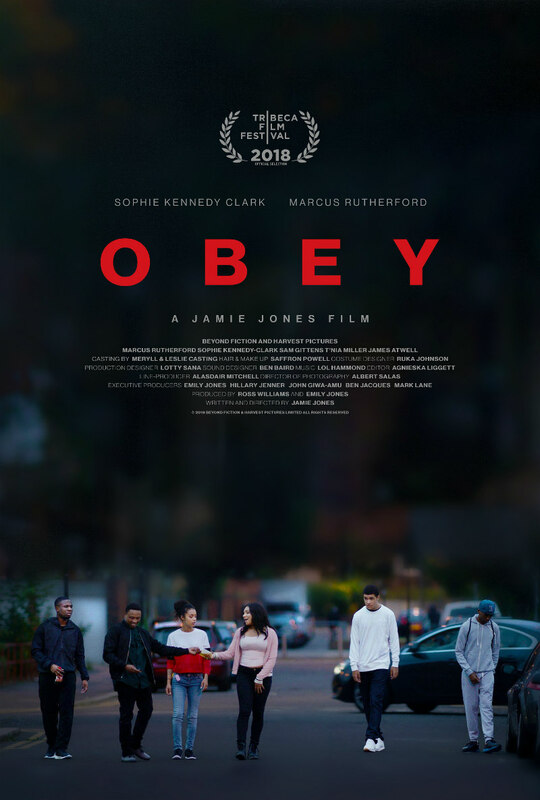 Jamie Jones sets his directorial debut, Obey, amid this backdrop, his narrative opening in the days leading up to the riots, snatches of news broadcasts seen playing on in-store TVs like early reports of some alien virus in a zombie movie. Soon to be caught up in the unrest is 19-year-old Leon (Marcus Rutherford), newly returned home to his alcoholic mother, Chelsea (T'Nia Miller), after a period in care. Jobless and unqualified, Leon spends his days boxing at the local gym and hanging out with his friends, who regularly find themselves committing petty crime. At a party in a squat that's home to a group of middle class kids slumming it in the city, Leon is accused of stealing a mobile phone from one of the tenants, whom he beats up before realising one of his friends has indeed stolen said phone. The following morning Leon returns to the squat to hand back the phone, and reunites with Twiggy (Sophie Kennedy Clark), the blond, blue-eyed girl he had briefly flirted with the night before. The two exchange numbers, and Leon is invited into a new world of privilege, with trips on Twiggy's canal barge taking his mind off the strife at home, where his mother's aggressive, cokehead boyfriend has moved in. But does Leon really belong with Twiggy and her privileged white friends, or are they simply using him as a vessel for the reinforcing of their liberal beliefs? With its working class black protagonist falling for a decidedly Aryan looking middle class girl, Obey initially threatens to enter into white saviour territory, as Twiggy seems set to 'rescue' Leon from his sink estate dwelling friends. Thankfully such fears are unfounded, with Obey ultimately as damning an indictment of white liberal hypocrisy as last year's Get Out. It soon becomes clear that Twiggy is merely after a bit of rough, romancing a boy her suburban parents undoubtedly wouldn't approve of. Conversely, the mixed-race Leon may be ingratiating himself into Twiggy and her friends' circle as a way to find some sort of connection with the white father who walked out on him. 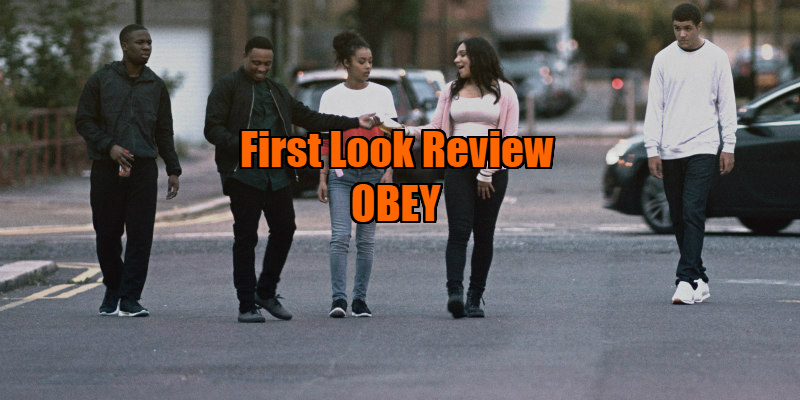 Yet while Obey critiques its social slumming white female lead, it also reinforces the damaging stereotype of the angry black man. With his bulky frame and height, Leon is an imposing figure, one portrayed by the impressive Rutherford as a gentle giant prone to explosions of violent rage. When the riots kick off and his local gym is closed, Leon makes a makeshift punching bag at home, the film implying that he needs to enact some form of physical aggression on a daily basis, and if he isn't beating up a punching bag he may turn his fists on human prey. Many of Obey's scenes feel like reenactments of those seen in better past dramas of young working class men, like Rocky or The Wanderers, but occasionally Jones' film finds its own feet, delivering the odd touching moment like a heart-breaking scene where Leon's mother tells him she hopes he can make it work with Twiggy as she has reached the point where she can no longer be a real mother to her volatile son. 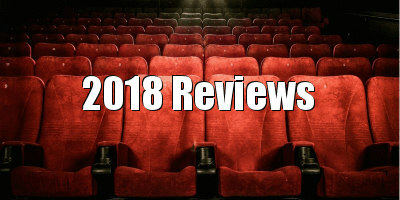 As a director, Jones hints at more successful films to come with some inspired moments. He opens his film with a static long shot, the camera idly watching as Leon and his friends trod aimlessly down a street, laughing and throwing digs at one another before becoming entranced by the sight of a purse left unattended on the backseat of a parked car. With a beginning, middle and end of its own, this opening shot could almost be a short film in itself, and it arguably makes its point about the distractions and dangerous temptations of wealth on young working class men more effectively and economically than the wider drama of the film that subsequently follows. Obey premiered at the Tribeca Film Festival. A UK/ROI release has yet to be announced.